Leaders in the Tool Industry for over 20 years! Come Visit Us at Our New, Larger Location: 806 Airport Road! 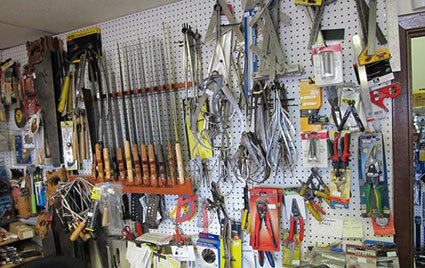 At Tools 4 U, we sell new and used tools, ranging from shop and power tools to plumbing and woodworking equipment. We can even travel within a 25-mile radius if you’re looking to sell your tools. Call today to find out how you can receive a free estimate! Looking for a specific tool, but can’t seem to find it? Want an honest opinion regarding a tool purchase? Need some industry insight into a unique tool in your possession? The first and best destination is going to be Tools 4 U. As the premier tool shop in Bismarck, ND, we’re happy to satisfy your every need when it comes to tool sales—whether you’re buying or sell—to ensure you walk away with peace of mind. We’ll buy from just about anyone, no matter the tool, and offer our entire inventory to shoppers who might be in search of something essential or unique. And, no matter what you’re looking for, our expert staff is here to help you find it. We’re a family-owned and –operated local business! We have over 50 years of professional experience and expertise. We’re available in our shop Monday through Wednesday and by appointment any other day. Our inventory covers a wide range of general and specialty tools, from some of the best name brands in a range of industries. We offer free estimates when it comes to locating and obtaining specialty tools for you. If you need a particular tool and can’t seem to find it, let our professionals help you track it down! We’re adept at finding just about any item you might be looking for. "awesome walked in looking for specific items ,, walked out with them in hand .."
"Great place, great new location. Always seems to have the right tools when needed.."
"Great new location with much more room. Loose a couple sockets or wrenches and want to fill your set back up, this is the place to find them..."
"Best tool store in town, everything from new to vintage. If you have a broken or missing tool from a set, Jim will more than likely have a ..."
"I've been looking for a store like this for a long time kinda reminds me of a mercantile store for older tools of all kinds new and used. It..."
*After Hours Appointments Available Upon Request.